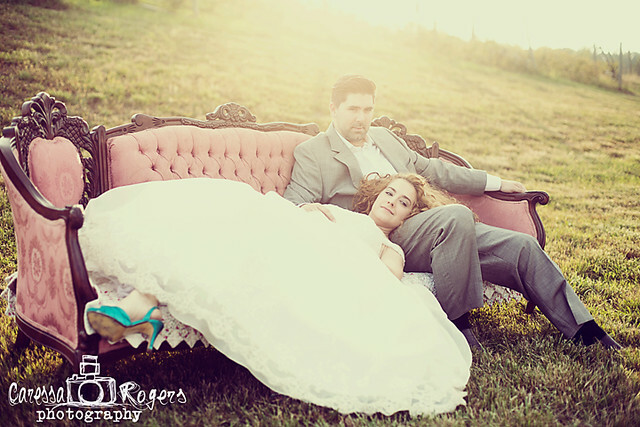 Caressa Rogers Photography: A Pride and Prejudice Moment! 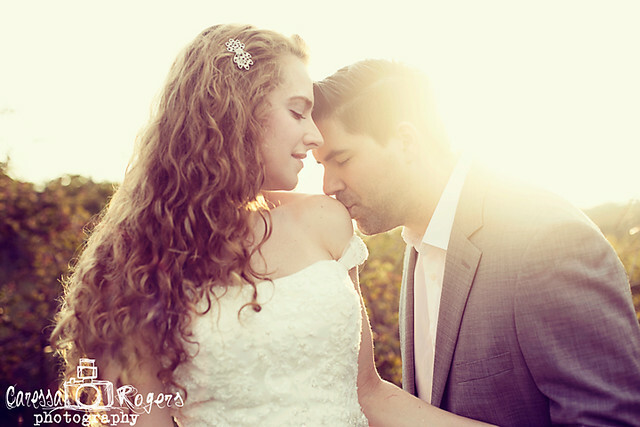 In a blackberry orchard with the warm summer sun setting, Corey adoringly kissed Rachel's shoulder. "It was my 'Pride and Prejudice' moment," said Rachel of the picture above. 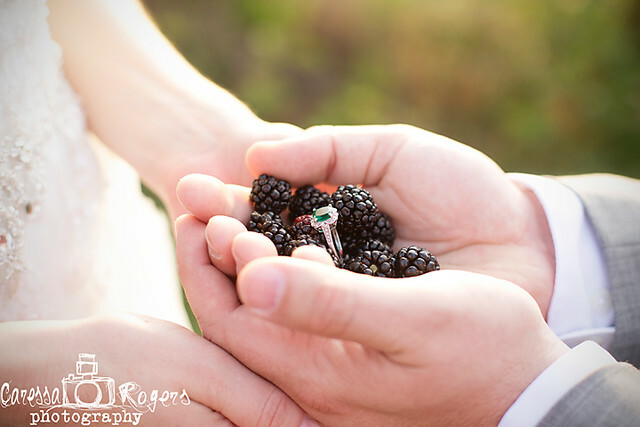 Their bridal session was filled with stolen kisses among blackberry bushes, tender looks and the glimmer of just weeks old married bliss in their eyes. 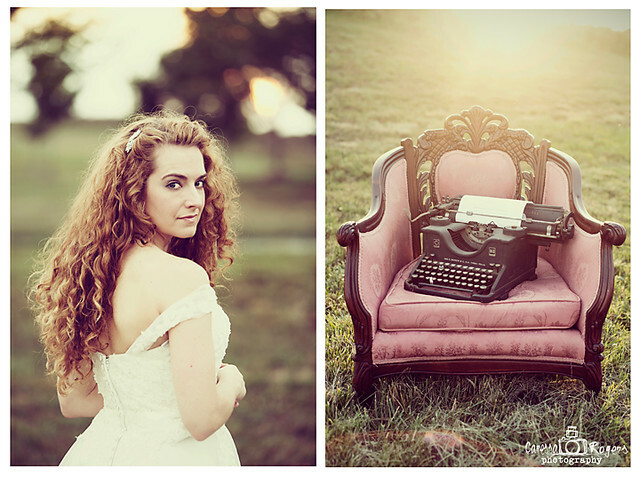 We incorporated a beautiful vintage couch and chair, old typewriter and suitcase. 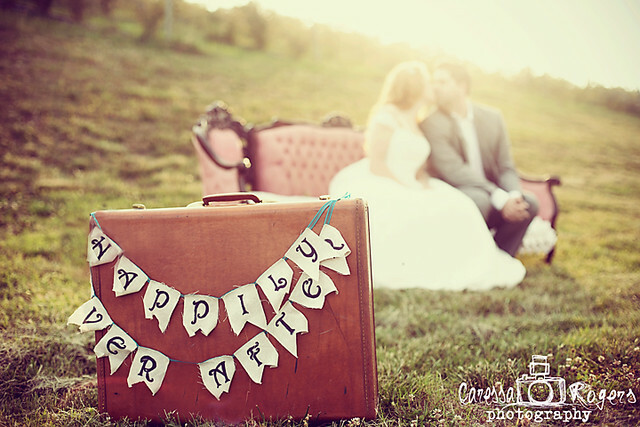 All which were fabulously used during their wedding. 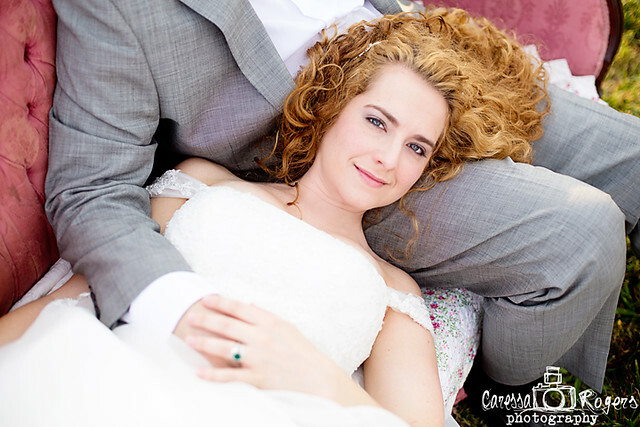 Take a glimpse at Corey and Rachel's love for each other and their dreamy bridal session. Congratulations you two and may you always show your love and passion for each other!